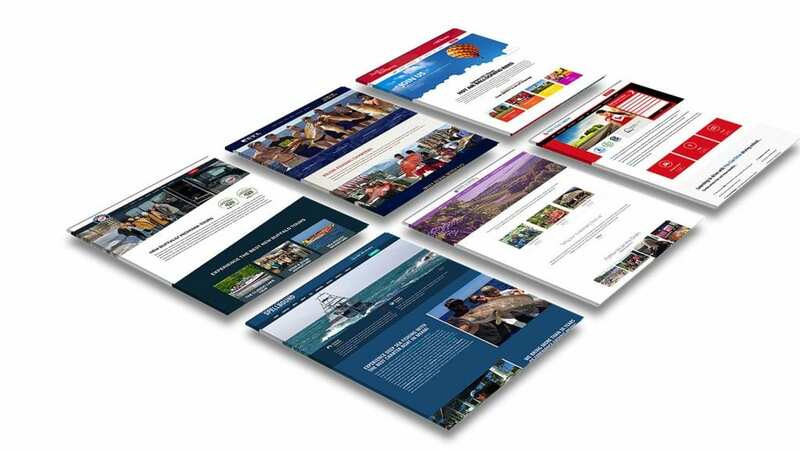 We’re tour industry experts with a deep understanding of the industry combined with the latest technology and a solid foundation in website design and SEO. This expertise helps put our clients at the front of the pack and ensures a steady stream of guests and bookings for the brands we work with. Our deep knowledge base, innovative technology and affordable rates ensure you get the best combination of value and service in the industry. We’re tour industry specialists and are fully immersed in the space, so we understand your unique needs and concerns. Our innovative technology includes proprietary algorithms and machine learning to maximize your conversions and make it easier than ever to connect with prospective guests. You’ll love the peace of mind that comes from knowing your site is fully optimized to attract and convert guests for your brand; having a complete site and program in place also frees you up to focus on running your business and pleasing your guests. As tour industry experts, we focus purely on these thriving and dynamic industries. We are proud to work with an extensive collection of some of the top businesses in the nation, from backcountry fishing guides to the biggest names in the tour industry.